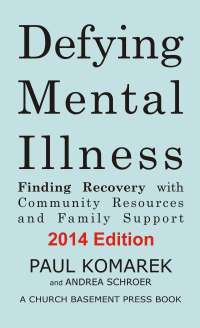 Paul Komarek's project Mental Health Recovery Everywhere is a finalist in the Scattergood Foundation's 2014 Design Innovation Challenge. Please support this effort with your comments on the Scattergood foundation website and your Facebook Likes. Mental Health Recovery Everywhere is an informal, nonclinical, social support network for people with mental illness or emotional distress. It serves the same function as AA for sober recovery, a social and nonclinical support experience with a book that supports deeper work, but it is strength-based, and not 12-step. Thank you for taking the time to review the challenge, and for supporting the work.